When you can’t come up with a great idea, do the next best thing – plump for an all-star cast and baroque production values. If the ad is slick enough, maybe no one will notice the difference. Except we do. And we have, at the Cannes Creative International Advertising Festival. The winner, the crème de la crème, this year’s Film Grand Prix, simply wasn’t up to snuff. Nike’s Write the Future is a tired old trope, made worse by poor judgement in fielding Wayne Rooney. Mind you, it wasn’t as if there was much competition. I liked BBDO Argentina’s Braids and it was gratifying to see Deutsch’s Force (aka Little Darth) also pick up a gold. But they weren’t exactly compelling alternatives to Wieden & Kennnedy Amsterdam’s World Cup hymn. As my chum Stephen Foster drily points out, 2011 was not a vintage year for adland’s finest creative minds. So who was the real winner this year? W&K? Droga5 (3 grand prix, 2 more than good old GB, which had to make do with AMV BBDO/PepsiCo garnering the new effectiveness award)? Neither of these. 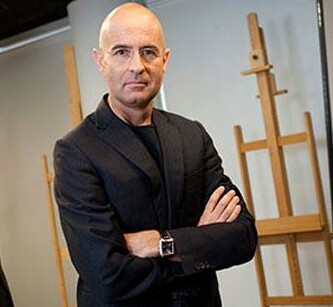 I can exclusively reveal it was WPP’s worldwide creative director John O’Keeffe. He has managed to bag more prizes than anyone else. Not personally, you’ll understand, but on behalf of WPP – whose ecstatic CEO, Sir Martin Sorrell, was able to waltz off with the first-ever Holding Company of the Year award. 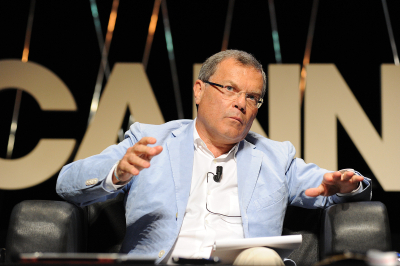 Readers of this blog will recall the acrimonious battle between WPP and Publicis Groupe 2 years ago over who had come second at Cannes. Last year, WPP nearly caught up with Omnicom, which regards being top dog as practically a birthright. And this year, O’Keeffe has finally kicked Omnicom’s supremacy into touch. The points-count, for those interested in “statue statistics”, was: WPP 1,219; Omnicom 1,152; Publicis 744. Must be worth a few bob come bonus time, John. Old Spice Guy takes top effectiveness award – but what about the couponing? It has just snaffled what is arguably the world’s most prestigious effectiveness award: the Grand Effie, courtesy of the North American Effies 2011. No doubt about it, this is a clever, versatile and engaging campaign by an agency, Wieden & Kennedy, that’s on a roll at the moment. Particularly smart was the way P&G’s media planners managed to bounce round Unilever’s dominance in the Super Bowl slots (X Factor and World Cup all in one, States-side) with a much more cost-effective digital viral campaign. Also worth noting is the way P&G cleverly targeted its ads, starring the suave Isaiah Mustafa, at women (who buy 60% of men’s body washes) as well as at the men themselves. Niggardly I know to say this but, in a way, we’re no nearer the truth. There’s more on this at the WARC site, but you’ll need a subscription to get at the submission. Just like the business and financial world, the advertising creative industry has its reporting seasons. The Cannes Festival represents the annual benchmark and we are now at the interim stage, with the Gunn Report and AdAge – the industry’s biggest trade paper – issuing their verdicts. To stretch the analogy a little further, these awards “analysts” heavily favour momentum stocks. That may be because – like their financial counterparts – they’re at heart an unadventurous lot who don’t like nasty surprises. Win at Cannes, and the chances are you’ll pick up a truckload of gongs elsewhere. King of the number-crunchers is the Gunn Report, which resembles Wall Street’s Quants in more ways than one. To quantitative analysis, which monitors an agency’s creative performance over many years and almost every conceivable awards scheme, is added a mysterious proprietary ingredient. We’re never quite sure of the relative weight put on the data. How else explain BBDO’s preeminence as top network for the fifth successive year? Enough of this. The point I’m making is there are no great surprises at the half-way stage, although some of the results are well worth highlighting (BBDO’s not excluded). 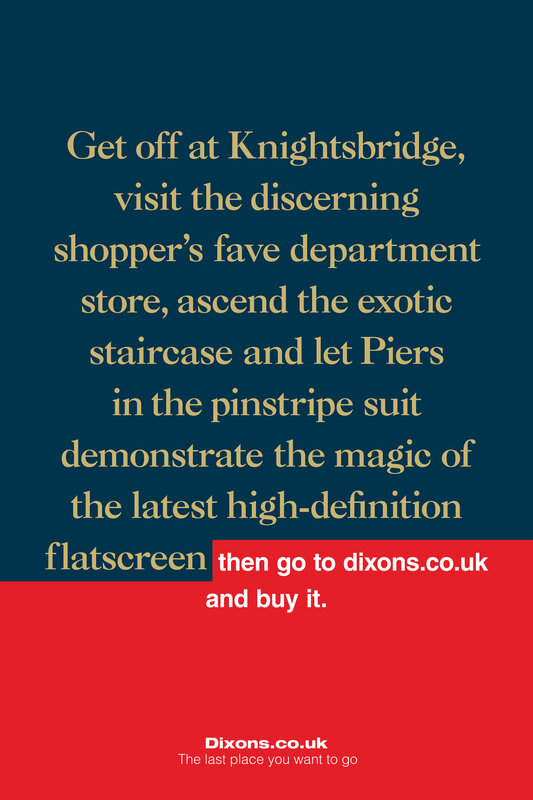 Rather pleasingly, M&C Saatchi’s print campaign for Dixons (honourable mentions at Cannes; it also picked up a top award at Epica) was Gunn’s global winner. The art of long copy is not yet dead. With similar predictability, Wieden & Kennedy was garlanded AdAge’s Agency of the Year, primarily on the strength of Old Spice Guy. And rightly so. Anyone who can create celebrity out of Procter & Gamble advertising deserves a medal: especially so when the now lionised brand was as hopelessly quaint as Old Spice. While we’re there, a nod in the direction of AdAge’s International Agency of the Year, Buenos Aires-based Del Campo Nazca Saatchi. Del Campo, which has just celebrated its first ten years, is the epitome of a rolling creative revolution which has now persuaded some premier league clients to consider Latin America as their first port of call when devising a global campaign. In Del Campos’ case, it has just been added to Coca-Cola’s international roster.